It is Hanukkah again. 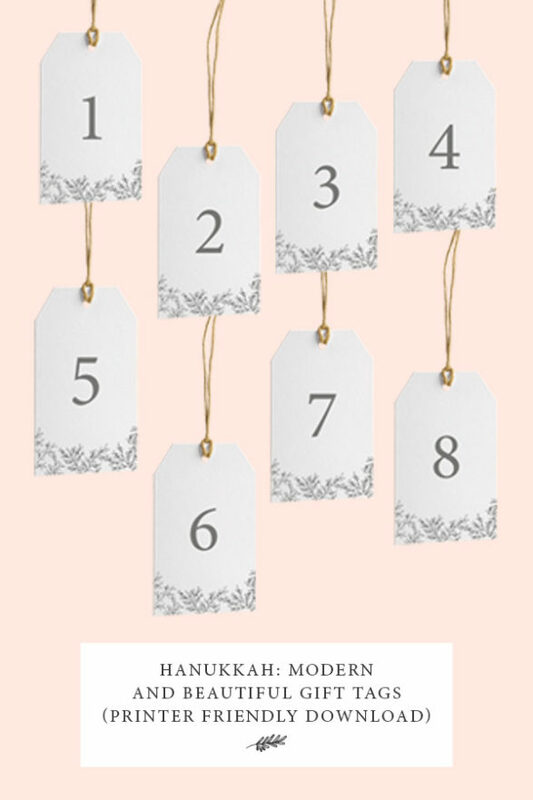 Let’s adorn our gifts with modern and beautiful gift tags. These are modern and beautiful Hanukkah gift tags that you can download and print at home. These Hanukkah gift tags are available for immediate download and comes in a high quality (300 dpi) PDF file for ease of printing. When you download the file you will receive one PDF that contains eight Hanukkah gift tags. These printable Hanukkah gift tags are simple to make. Use these to decorate gifts for your family, friends and co-workers. May these tags make your gifts more beautiful. Chag Sameach. P.S. Download our snail mail Hanukkah card here.